Right now, you may be like I was the spring of 2015: ready to get started with bees but not really knowing how or where to begin. I completely understand! Bees are not for the faint of heart and they are certainly not for the unprepared. When you bring home 30,000 bees in the back of your car, you need a location to put them, a hive to put them in and the proper care to keep them healthy from disease and from the weather. I am not a bee expert, but I can share with you how we got started with our bees and what has worked for us here in the heart of Central Montana. It’s essential to find an experienced beekeeper in your area. Not only do they have the experience, they also have the knowledge of what works for your area and what doesn’t. Langstroth Hive. To start out, we purchased two nucs and two Langstroth Hives and an extra deep super to be ready if we came across a swarm. We purchased our hives un-assembled because of cheaper shipping. If you do choose to go this route, when you are putting the frames together, use LOTS of nails to hold it together. When the bees go to work and add all the wax and honey, the frames are very heavy and need to hold together and be pried out without coming apart. A bee suit: suit, hat with veil, gloves (that fit properly! ), closed toed shoes. I was given a suit, so it is a little big. I put rubber bands around my ankles to keep the legs tight so the bees can’t crawl up my leg. If you are also blessed with used attire, check it over thoroughly to make sure that there are no holes, because a bee can fit through even the smallest of holes. Pick up your nuc. You will pick up your nuc in the early morning or late evening depending on schedules. They will be enclosed in a small box with several frames that the bees have been working on already This will give them a good start when you put them on your property. We gave our bees some sugar-water for a couple of weeks as they got settled in. We didn’t check our bees for about a week after we brought them home. Protect your bees. There are a handful of diseases and pests that you need to protect your bees from. Be on the look out for mice and ants invading your hive. Mites, microbial diseases and pests all need to be prevented for a strong and healthy hive. 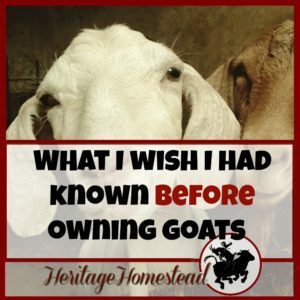 I thought this article had good information. This is also the perfect opportunity for your bee keeping friend to help you figure out what you need to do for your hive, and where and how to purchase anything necessary and it is a great way to split the costs or lower the shipping costs of items if you purchase for both of your bees at the same time. Check your bees. 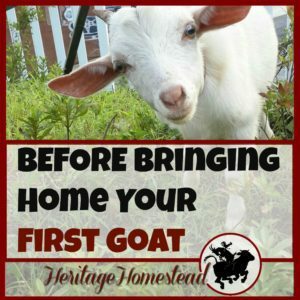 You do want to let your bees settle in and get accustomed to their new area. I was checking them about ever 1 to 1 1/2 weeks and I was worried that I was checking them too much. But I needed the opportunity to get to know my bees, what they looked like and what their hive looked like. When I would check them I was very calm and tried to get them stirred up as little as possible. There is nothing like seeing a frame filled with all the stages of larvae! And it is such a neat experience to see the combs filled with pollen and honey. So, just keep in mind that you don’t want to be checking them too much but you also need to learn and sometimes the best learning is hands on! While you are checking, you need to be aware of how full the frames are getting. The bees need to have enough new frames available as they are filling up the hive with honey or they will think their hive is too small and most likely will swarm and find a new home. Prepare bees for winter. In our neck of the woods, winters can be brutal: very cold, snowy and windy. We wrapped our hive in insulation during the winter months to help keep them warm and keep the wind out. For many years this is the technique that has worked for the experienced bee keeper helping us. Keep learning and never stop! 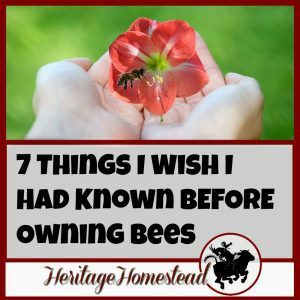 I am proof that you don’t have to know everything to start raising bees. You just need to know someone else who knows everything. 🙂 Don’t let your lack of knowledge dissuade you from getting bees. But also, don’t stop learning either! These 10 helpful tips can help you get started, but it is only the tip of all that there is to learn. The bee is an amazing creature. 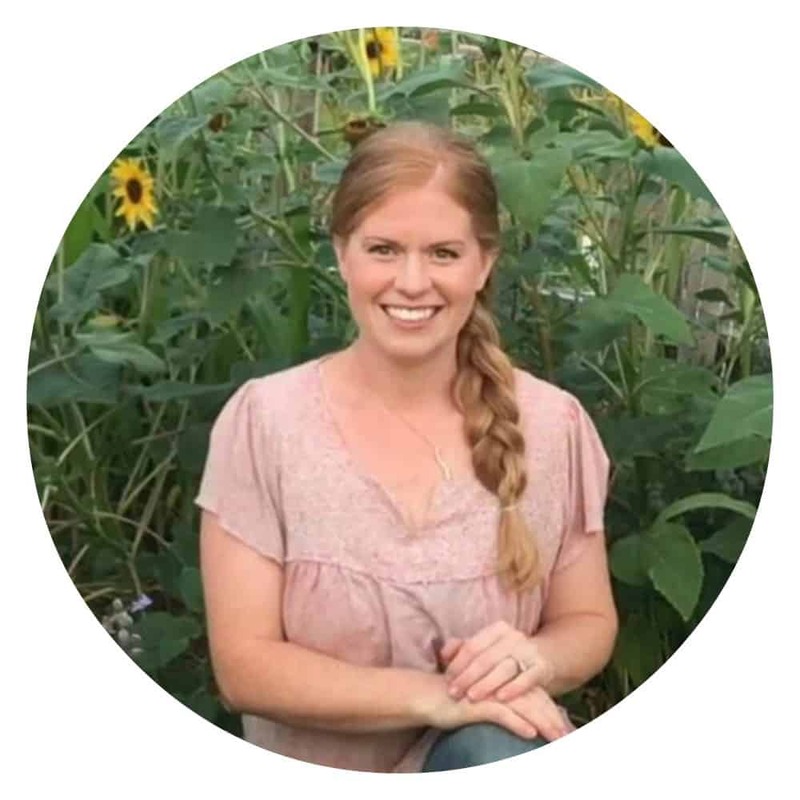 She is the hardworking force behind all our food crops and the sustainability of our planet. 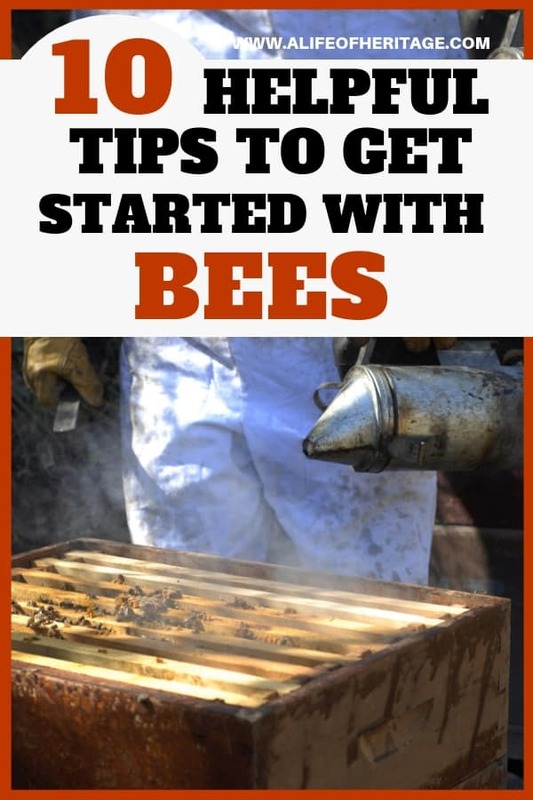 If you are waiting for the perfect opportunity to get started with bees, don’t wait. This is a perfect time! What have you more experienced bee keepers learned through the years? What would you add to the list? Winter is always coming in our neck of the woods, learn how to Winterize Your Bee Hives. Thank you for another great article! 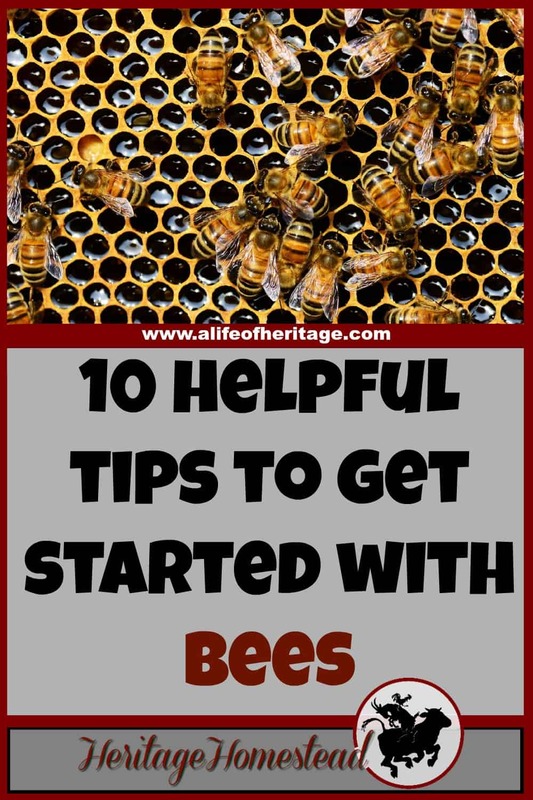 I am hoping to get some bees next spring so I found this article very helpful! Keep up the good work!